Zipp is a Premium, Responsive OpenCart eCommerce theme with a clean and neat design. It’s perfect for any kind of web shop. It looks great with all types of devices (laptops, tablets and mobiles). Open demo site and resize the browser window. 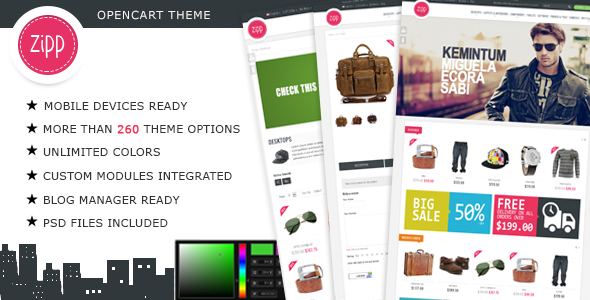 It also includes a Theme Panel with more than 260 theme options and unlimited colors.